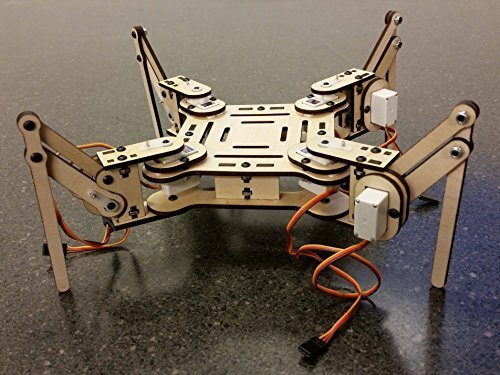 Up for sale is an awesome little open source quadruped robotic walking platform! Just add an Arduino microcontroller, a simple circuit and a power supply and you have a functioning robot platform! 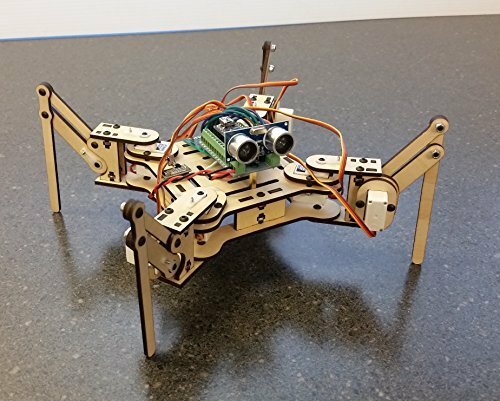 1ea - Printed list of links to websites containing the assembly instructions, example source code, to help you make the most of your meArm. The items that you will need to supply are a micro controller of your choice such as an Arduino, Beaglebone Black, or Raspberry Pi, wiring, power supply (batteries), sensors, and possibly a prototyping board. 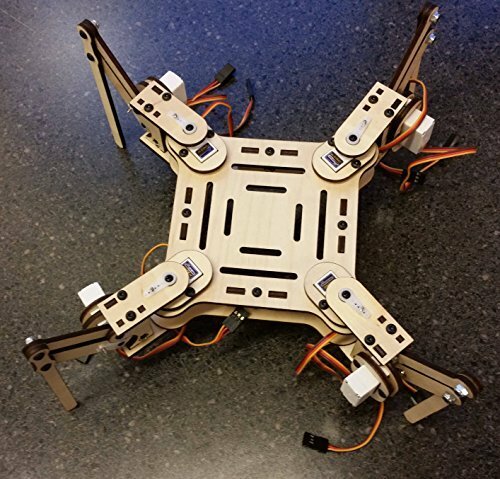 Before laser cutting the robot, we cover the wood with a layer of protective masking tape so the wood doesn't get smoke damaged, giving you an awesome looking, high quality robot platform! Please feel free to view our other robot kits in our shop. If you have any questions, please feel free to contact us. Buy with confidence, this is a tested design!